AROOSTOOK COUNTY - Leaders Encouraging Aroostook Development (LEAD) and Momentum Aroostook, in conjunction with the four institutions of higher education in the region, are once again looking for exceptional entrepreneurs in Aroostook County and are soliciting nominations for the 2015 Aroostook Entrepreneur of the Year. The Aroostook's Entrepreneur - 2015 Award will be given to a business leader who demonstrates excellence and extraordinary success in such areas as innovation and personal commitment to their business and community. The nominees will be recognized and the winner will receive a plaque and a check for $500 at a special recognition dinner later this spring co-hosted by LEAD and Momentum Aroostook. Nominations must be received by April 17, 2015. There is no fee for nominations and self-nominations are encouraged. Previous nominees are eligible to be nominated again. LEAD and Momentum Aroostook members and their relatives are eligible to participate. Program details and a nomination form are available for download at www.leadaroostook.com. To be eligible for consideration, nominees must be the founder, owner, or manager of a private or public company; be primarily responsible for the recent performance of the company or organization; and be an active member of top management. The company or organization must have been in operation at least one year. This is the sixth time LEAD and Momentum Aroostook have sponsored the "Entrepreneur of the Year" competition. Previous winners include David Harbison of Bison Pumps in Houlton, Matt Bell of Northeast Pellets in Ashland, Northern Maine Distilling's Jessica Jewell and Scott Galbiati (formerly of Houlton), Troy Haney of Haney Building Specialties in Caribou and Corey LaPlante of Northern Prosthetics in Presque Isle. 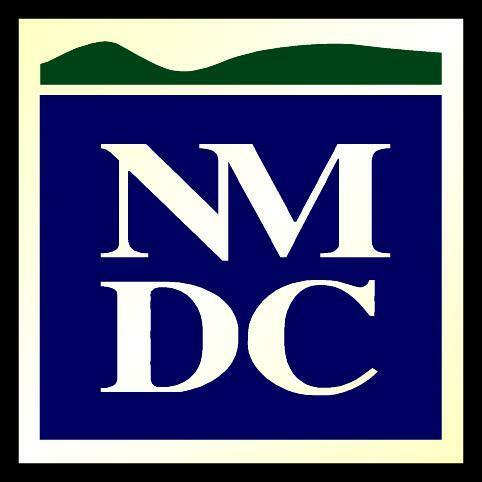 For more information about the initiative, contact LEAD Executive Director Ryan Pelletier at 498-8736 or rpelletier@nmdc.org. AROOSTOOK - The Aroostook Partnership for Progress is focused on expanding small and diversified agriculture for many reasons - increase utilization of our available land, increase small farm profitability, increase availability of locally grown/raised healthy foods, and to attract young folks who want to farm and raise their families to Aroostook County. However, to expand that area of the economy reliable Internet is needed and it is not always available. "It's no secret that Maine is lagging behind most of the states in terms of having reliable, high-speed Internet access," said Chip Beckwith, the president of Aroostook County Farm Bureau, the largest of the 12 regional organizations that compose the Maine Farm Bureau. "In our haste to catch up we're leaving out many people and businesses in the most rural parts of our state." The Maine Farm Bureau has created the "Last Mile" campaign to convince the Maine Legislature, Governor, and others involved in broadband access that the top priority should be to see that the 6 percent of Mainers who currently have no access to reliable broadband Internet are able to get online. Part of that campaign calls for support of a piece of legislation up for a public hearing in Augusta Thursday. LD 826 is an act to promote Maine's economic development and critical communications for rural farms, businesses and residences by strategic investment in high-speed Internet. "Rural areas, businesses from all sectors but especially agricultural businesses are greatly affected if they do not have access (unserved) or have minimal access (underserved) and if this capability is not expanded, it will have a major impact on growth prospects for small businesses in the County," said APP President Bob Dorsey. The public hearing on the bill will be held before the Joint Standing Committee on Energy, Utilities and Technology Thursday, April 2, 2015, at 1 p.m. in room 211 at the Crossing Office Building in Augusta. The bill's sponsor, Representative Robert Saucier of Presque Isle, said that while the immediate advantage of his bill will be to bring reliable broadband to rural Maine, it will also benefit downstate businesses by opening up new markets that can be reached online. The "Last Mile" campaign took root at Aroostook County Farm Bureau's annual meeting last fall, when Bridgewater potato farmer Jim Gerritsen presented a plan to increase funding for The ConnectME Authority, the state agency with responsibility for seeing that all Mainers get broadband access. Under Gerritsen's plan, ConnectMe funding would increase from 1 million to $5 million a year with the bulk of that money going to unserved regions of the state. Gerritsen does not have broadband access at this farm but relies on a 10-year-old wireless system to reach customers for his specialty potato business. "There are days when the Internet service can become so slow that we should probably just send our crew home for what little work they are getting done with Internet-based functions like credit card processing and electronic shipping labels," he said. Editor's Note: More information about LD 826 can be found here along with a link to send comments to the Joint Standing Committee on Energy, Utilities and Technology.